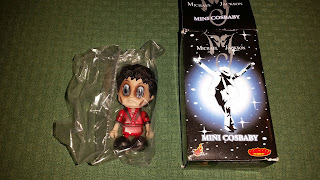 Today there's not a record in this space, but a wonderful set of mini cosbaby; Cosbaby are little figures representing celebrities with a baby face. Each cosbaby stands 3 inches/7 cm tall. 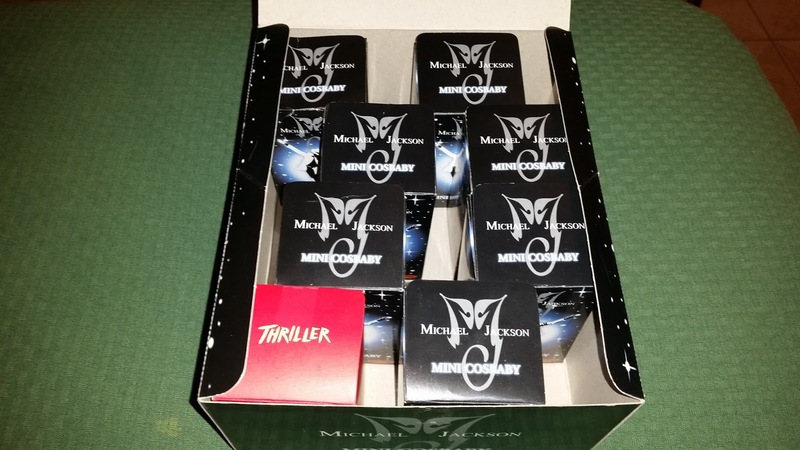 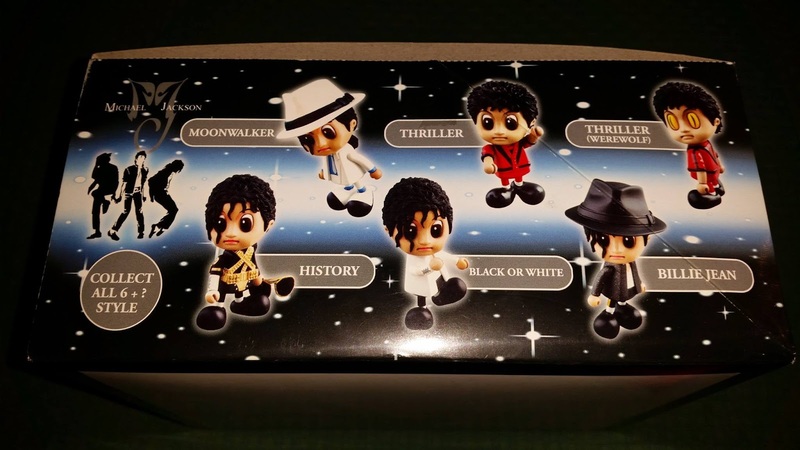 Michael Jackson got 8 different versions, each with its unique design from some of his music videos and live performances. 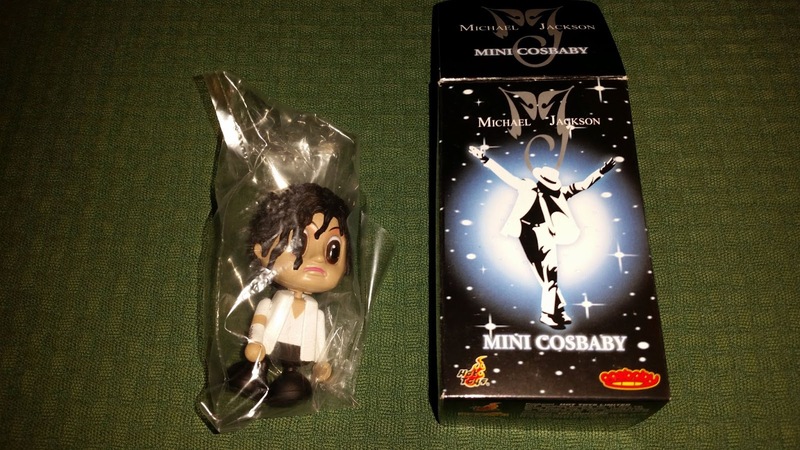 SECRET Cosbaby and SPECIAL cosbaby are the rarest among the whole lot. 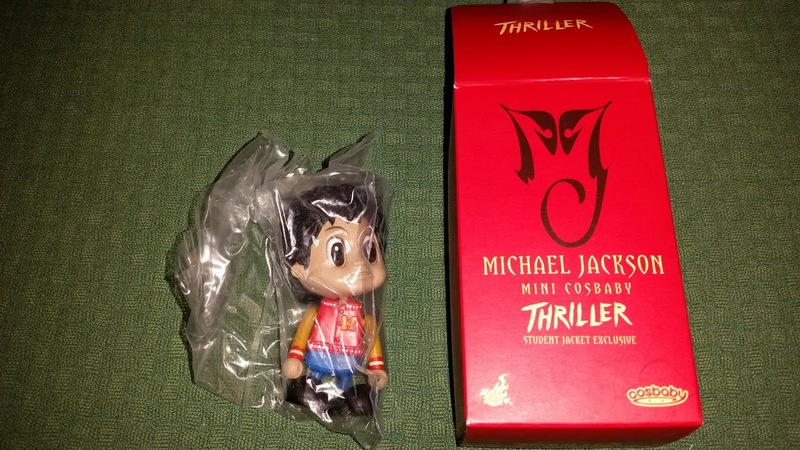 The special one (with the iconic Thriller college jacket) comes with a different red box. 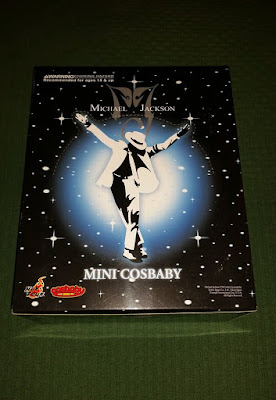 What you can see in this picture is the VERY FIRST cosbaby edition, with a Moonwalker-designed little box and a display box for shops! 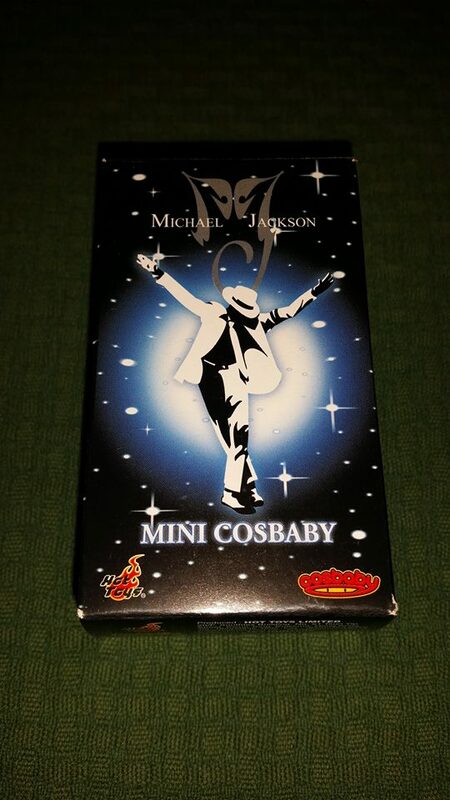 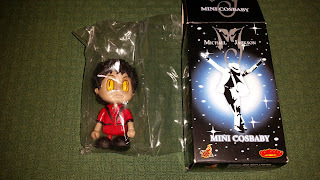 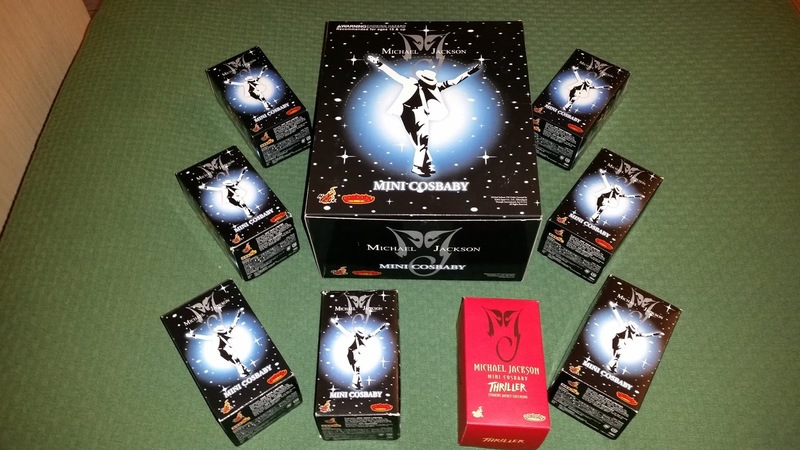 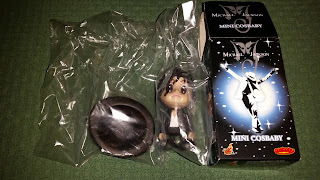 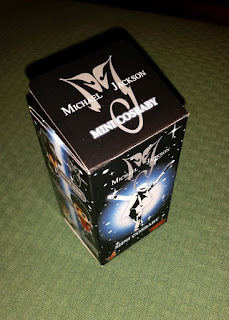 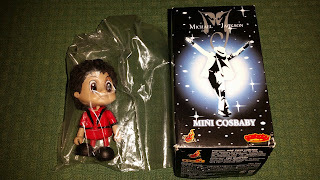 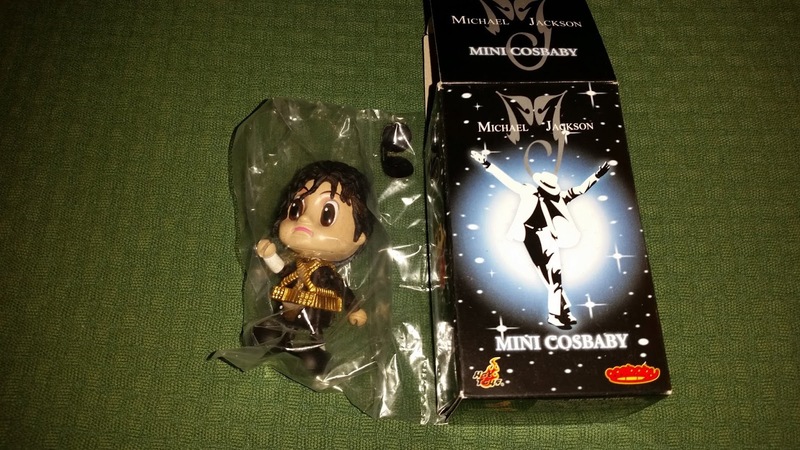 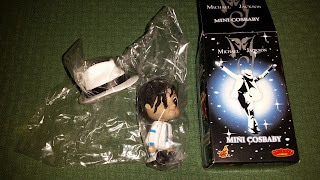 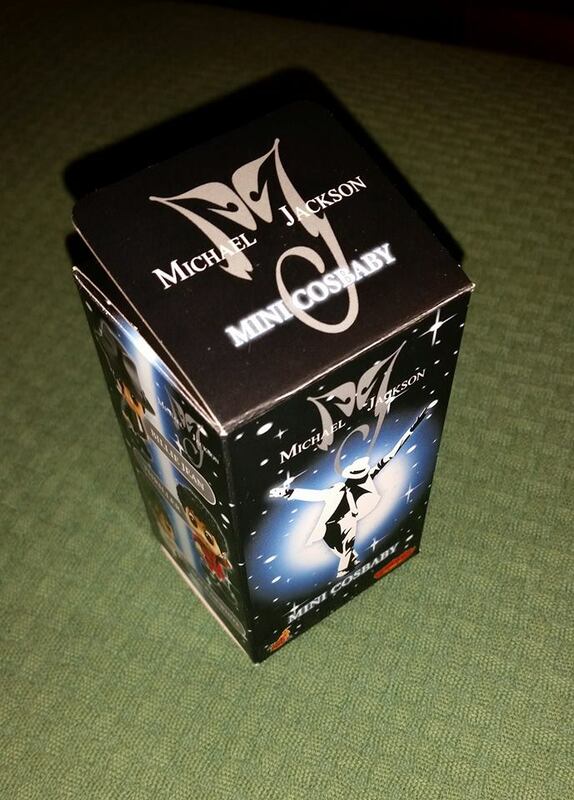 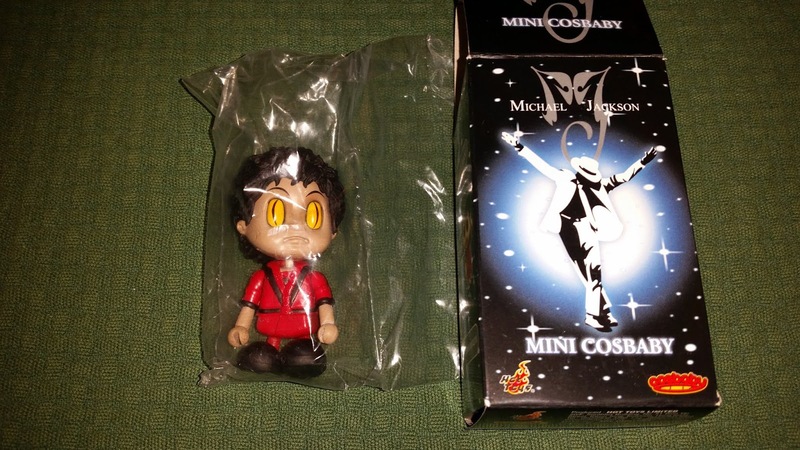 Lately, the whole cosbaby set have been reissued with a black box package including MJ classic logo.